Experience Austin like never before on this guided, 1.5-hour Segway tour. This Segway adventure will include a bit of historical information about Austin with a focus on the State Capitol of Texas, 6th Street, Congress Avenue, and much more. All groups start off with an orientation followed by one Segway rider training. It only takes a few minutes to feel comfortable controlling Segway, yet a practice session prior to the start of the tour is quite helpful. When all group members get the thumbs up, an experienced guide will lead the way around Austin, capturing images of the experience via digital camera. 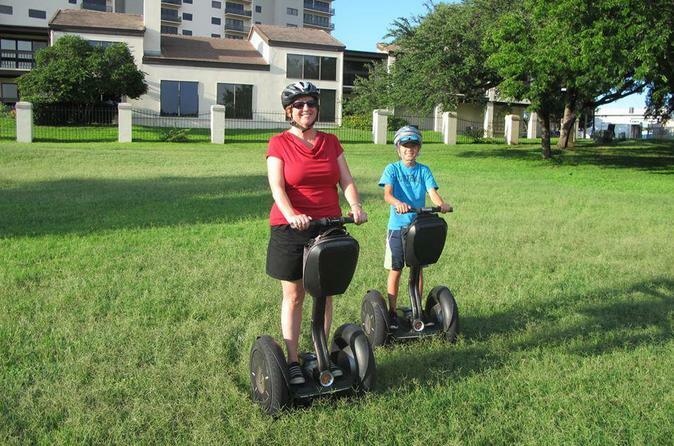 The Early Bird Segway tour was created for the early riser. Beginning at the Austin Visitor Center, this 2-hour tour focuses on downtown Austin's historic sites, including the State Capital of Texas, historic 6th street, Congress Avenue, and the Rainy Street District. Enjoy an exciting tour around Austin for about 120 minutes and you see many of the sites that help give Austin the personality that earns it national praise as one of the top US cities to live in. Check out Sixth Street, a historic street and entertainment district; Congress Avenue, a 6-lane, tree-lined avenue that cuts through the middle of the city; the Rainy Street Historic District, a street of historic homes, and more. Along the way, hear stories about the Texas state capital’s history and culture.